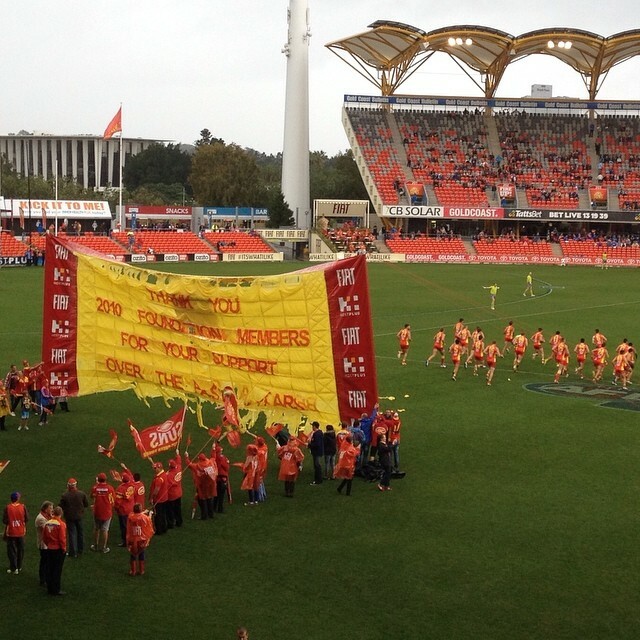 SUNS fans have shown their support for the rapidly-improving AFL side, at today’s incredibly wet clash against Port Adelaide. The home side were defeated by 9 points at Metricon Stadium in front of a passionate crowd. The Gold Coast Suns led at half time and narrowly trailed in the third quarter, but couldn’t hold off the Power in the final term, to lose 7.14 (56) to 7.5 (47). The Suns now ten wins and ten losses for the competition, the club’s best season to date, by far. In today’s other games, Sydney Swans play St Kilda at the SCG, Essendon and West Coast Eagles clash at Etihad Stadium, Adelaide Crows host Richmond at Adelaide Oval and Collingwood verse Brisbane Lions at the MCG.